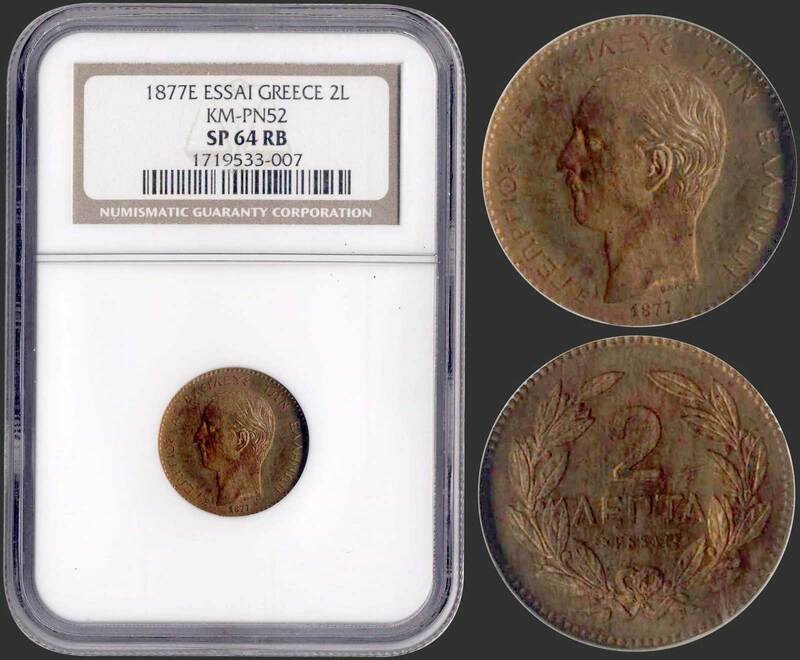 2 Lepta (1877) in copper with "ΓΕΩΡΓΙΟΣ ΒΑΣΙΛΕΥΣ ΤΩΝ ΕΛΛΗΝΩΝ". Letter "E" on obverse left to date and "ESSAI" on reverse without other marks. Inside slab by NGC "SP 64 RB". (Hellas T.66).